If you’re taking the SAT, there’s a pretty good chance you’re going to take it twice—once at the end of junior year and once at the start of senior year. If you’ve only taken it once so far, going through the test again might sound about as pleasant as an leisurely afternoon of waterboarding (not to be confused with the arguably more enjoyable wakeboarding), but this is actually a good thing—a very good thing. The biggest plus is that it gives you room to have a bad day. Everybody knows or has heard about that guy in their grade who fell asleep during his Chem final and flunked. What if he’d been allowed to take the final twice, and only the higher score counted? That’s what the SAT is like: even the worst experience on test-day is alright, because you can try again, and that worse score will almost never count against you. Besides that, on average, students’ scores go up when they take the SAT for a second time. You know you could take the test again, sure, but do you have to? Alright, so if you’ve already scored a 2200 – 2400, then there’s not really much point in taking the test again. Schools will be impressed (or at least satisfied) and that’s that. But that’s only a very, very small percentage of people. Usually, your “good” scores could be a little bit better. And if there’s room for improvement, there’s good enough reason to retake the test. Remember that you’re very likely going to see a higher score the second time—especially if you study for it. And the summer before senior year is the perfect time to do a bit of SAT prep. Also, if you already know your target and reach schools, that helps add context. If your SAT score isn’t as high as the average score at your reach schools (or is just about equal to that average), then it’s worth taking the test again, clearly. That’s how you get into your first choice school—or part of how, at least. If you’ve already taken the test three or more times, stop there—if you have that many tests under your belt, I can bet pretty safely that you did some serious prep, too. And if, after all that prep and all those tests, you’re still not where you want to be, but you know deadlines are coming on fast, it’s probably time to focus on the other parts of your application. Remember that SAT scores are just a part of the larger package. Some schools don’t even care that much about SAT scores. But if you’ve only taken the test once or twice, and you have one more shot at a higher score, then yes—go for it: especially if you are under the average test scores of your targets schools. Be sure to study the test this time, if you haven’t already (or even if you have). I’d recommend starting with our posts, Guide to Retaking the SAT and How to Study for an SAT Retake. 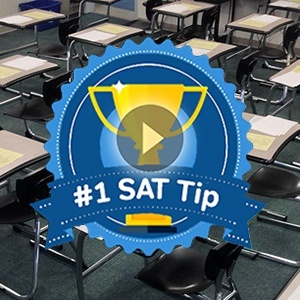 After all, a few weeks or months of getting familiar with the question types, strategies, and wrong answer types of the SAT can translate into a very real score increase—try doing that to your cumulative GPA in such a short time! And keep in mind that most schools only look at your highest score on each section of the test across all of your test dates, so even if you just see an increase in one section, that’s still worth it. My son took SAT for the first time in Oct, 2014 (his Junior year) and got 2360. He is not too keen on retaking it and wants to focus on his APs. To cover his less than perfect Math score, he wants to do just SAT Math. Do you think he is right in his thinking? Also, do colleges require SAT scores from end of Junior year or Senior year? Congratulations to your son! That’s a really outstanding score. He’s right that he has no need to retake the SAT with that score. That’s high for even the most competitive schools in the U.S. Perfect scores are incredibly rare, and are definitely not expected. Most students take the test at the end of junior year (spring) and at the start of senior year (fall), but the most important thing is that scores are submitted before the admissions deadlines. Since your son has such a high score now, I’d advise spending time and energy on other aspects of his application. If he does decide to take the test again in an attempt to hit a perfect score, he should focus on all three parts of the test. 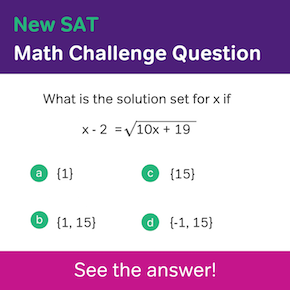 It’s not possible to take just the math section of the SAT, and ignoring the other sections in one test session looks bad in applications. If you mean that he is considering taking the Math 2 SAT subject test, I think that’s a great idea. It sounds like he is gifted in mathematics, and if he is comfortable with trigonometry and precalculus, then that subject test is a great way to further show his abilities. Well now I am planning to give it again in June. I have been practising really hard for past month. My maths score from 480 (on real sat) raised to 640 (on practise tests according to the latest) And I am sure that it will increase till I give it again in June!